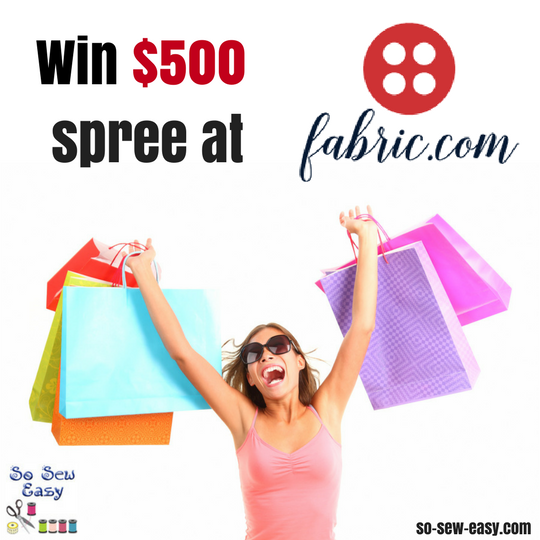 New $500 Shopping Spree Giveaway from Fabric.com- Bigger and Better in 2017! Our friends at Amazon.com subsidiary, Fabric.com, have stepped up again to kick off 2017 with an even bigger and better giveaway. 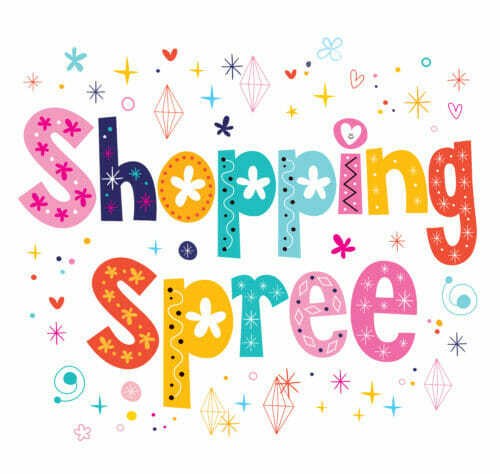 They were so impressed by the support our readers gave for their $250 Shopping Spree Giveaway that ran late last year, that they have DOUBLED the giveaway prize and are now offering a $500 shopping spree to the lucky winner! Unfortunately, however, there is one small catch.. This giveaway is only open to US residents. I know, I know, that's really not fair to all our readers outside the US, but because of the very large size of the prize, it opens up all kinds of tax and legal considerations for a large company like Fabric.com. This is just the reality of business these days. Fabric.com have promised to work with their legal team and do everything possible to make future giveaways available worldwide, but for this one, our hands are tied. But what about for the readers outside the US??? If you're outside the US, we plan offer an international giveaway of some Best of the Bags Pattern Bundles starting in the coming days so stay tuned for that. While the value is a little lower, we'll give away a total of 10 prizes so the odds of winning will be better. What's the best way to enter and win this contest? For everyone participating in this giveaway, please remember that your best strategy is always to use the “Share with Friends for Extra Entries” feature to share this contest with your friends and family. That way, you get an entry for every entry they make and it really turbo-charges your chances to win! Do this early in the contest so you'll get this bonus for the duration. Patricia B who won the Fabric.com giveaway last year won by doing this exact strategy. Give it a try! 3,195 Responses to New $500 Shopping Spree Giveaway from Fabric.com- Bigger and Better in 2017! Thank you for this opportunity. Following this contest has given me a great opportunity to research patterns and fabrics for future sewing projects. It has been a lot of fun. I would make covers for all my appliances- cute fabric! I would make a tote bag or a wallet. That’s pretty fabric!. I think I’d make a scarf or cowl, so I can be fashionable, but warm since I just got 18+ inches of snow. I would quilt until I could not quilt anymore. I would make baby quilt memory quilts and give them to the local newborn hospital . Loving those birdies! It would have been adorable with a quilt I just finished actually. It would also be cute as a panel on a bag or pillow. Picnic quilt for my sister. I have a 60’s mod style jumper pattern and the Michael Miller Birds of Norway Espresso Fabric would be so perfect for this! Talk about a psychedelic outfit!